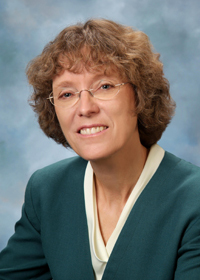 Dr. Karen Tratensek received her dental degree from the University of Maryland School of Dentistry. She completed a two-year orthodontic residency at Georgetown University School of Dentistry, which qualifies her as an orthodontic specialist. In addition, she was awarded a postdoctoral Master of Science by Georgetown. She has more than 20 years of experience in private practice and has treated thousands of patients, both adults and children. Dr. Trarensek has ten years of orthodontic teaching experience. Dr. Tratensek is an attending faculty orthodontist of the postdoctoral orthodontic residency at Washington Hospital Center/Children’s Hospital in Washington, D.C. She supervises residents in their didactic (literature review) and clinical training. She is a member of the American Association of Orthodontists, the American Dental Association, the Southern Association of Orthodontists, the Virginia Dental Association, and the Northern Virginia Dental Society.